We know that you are always on the hunt to personalize your wedding. We know that you love an eco friendly option. So, we are pretty sure that Scout Books are right up your alley. The Scout Book is a customizable pocket notebook that is ready to work for you. 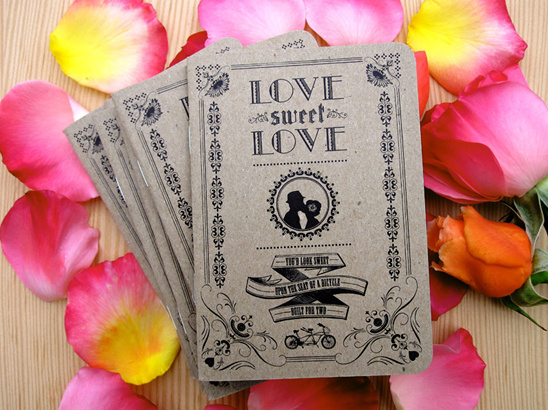 They feature 100% recycled papers, soy inks, and most excitingly, YOUR ARTWORK on the cover! So, basically you could have your wedding artwork on the cover of the books. You could even send them over artwork from our custom download section. The possibilities are endless with the Scout Book: they make great favors, are a great part of an invitation suite, and can even be fun custom "city guides" for out-of-town guests. 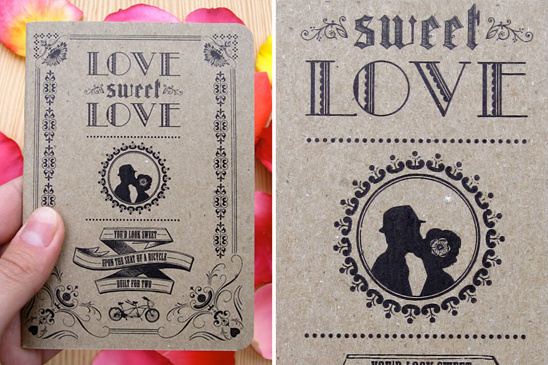 With quantities as low as 50 pieces, Scout Books are eco-friendly, budget-friendly and a great idea for weddings!